"My sailing holiday Croatia" would be the answer, if you would ask me what my preferred yacht vacation was in the Mediterranean. Every time that I come here, I'm amazed by the beauty of their mature and waters. It's the country of a 1000 islands, nice weather, endless anchorages, clear water, friendly people and good food. The Croatian coastline is 5800 kilometers long!! So, if you're looking to book a nice yacht charter or you're looking to find a new cruising ground, you have to come to Croatia! All summer months are good for cruising, with July and August being the hottest and most crowded months. Even then, because their coastline is so long and they have so many islands, you will always find a sheltered anchorage with no or very few boats in it. We cruised here in the months of August and September. The following cruise plan can inspire you for your own boating trip in Croatia. 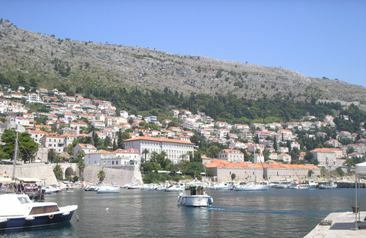 We started our yacht charter in Dubrovnik which lies in the southern part of the Dalmatian Coast. When you're chartering a yacht for your sailing holiday Croatia, you're fine with Customs. If you're coming in with your own boat, you have to fly the yellow Q-flag and go straight to a port of entry. 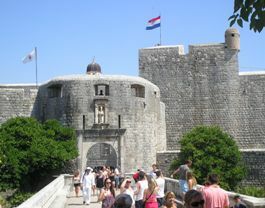 We used Dubrovnik, Port Gruz, as port of entry, since it is open 24/7. Dubrovnik itself is gorgeous. It's a UNESCO World Heritage and I'm very glad it is! The style of houses and streets will astonish you! 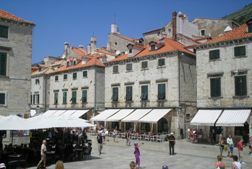 It's always a good idea to visit Dubrovnik, either before or after your yacht charter. In Dubrovnik harbour, the one right next to the old city, are no yachts allowed. 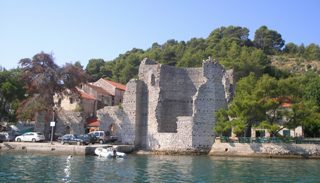 So, you have the choice between 2 other marinas close to Dubrovnik. 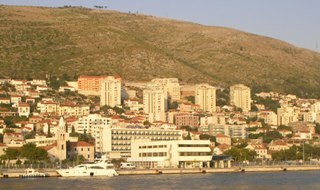 The first one is the ACI marina Dubrovnik which lies at the end of the river, that runs north of the old city. You will pass the spectacular bridge at the entrance of the river. The second one is Marina Gruz, next to the ferry and cruise ships terminal. We started our sailing holiday Croatia in the bay north-west of Dubrovnik, Zaton. The anchorage here is very pleasant, good holding and some nice restaurants with fish specialities. You will also find bars, a kiosk, an atm and a post office here. Zaton consists of 2 parts, Zaton Veliki and Zaton Mali. In the last one the shelter from the Bora, a local strong N or NE wind, is a bit better. 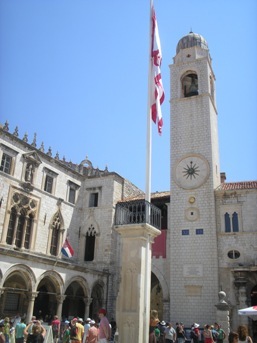 The taxi drive to Dubrovnik city only takes 12 minutes. 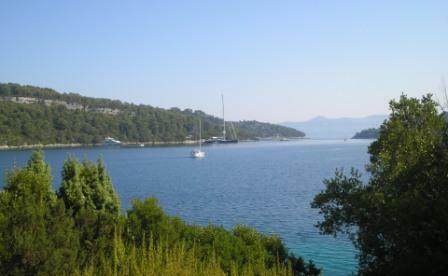 On the second day, we continued our sailing holiday Croatia and cruised towards the island of Mljet. Along the way, we passed through the small passage between Otok Jaklan and Sipan, always good fun!! The NE side of Otok Jaklan is very nice and just 15nm from our starting point. The weater is clear, so perfect for our lunch stop. 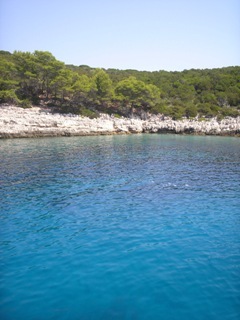 After our swim and snorkel, we headed 11 nm further to Otok Mljet. 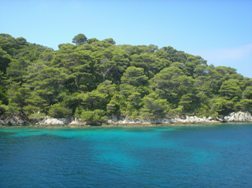 The NW part of Mljet is a national park, where special rules exists to protect the environment. We paid here 100 kuna per person. The ticket is valid for 1 week and there is a busride included to the lakes inland. 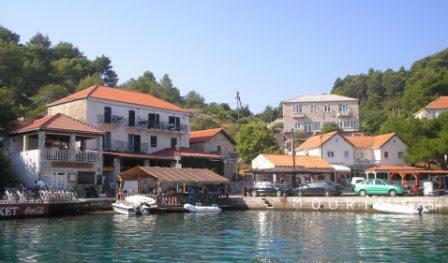 The approach to the town of Mljet, Luka Polace, is one of a kind. Even Disneyland would be jealous. You have to navigate between these small islands before you reach the large anchorage of Luka Polace. It's a popular place, though. On the side, you will see a lot of small quays to go stern to, but anchoring is just fine. A bakery and a small supermarket are available. After a nice, quiet night, it was time to weigh the anchor and go 21 nm to the East of Otok Lastovo, which is also a national park. You can find here a nice, sheltered spot in the several small inlets. You're totally on yourself in these small chunks that stick out of the sea. You'll hear the grasshoppers and see some wild goats! We anchored in the approach to Mali Lago with a stern line around a rock. The skies at night are so beautiful, you literally see a thousands stars and definitely some shooting stars, if you're here in middle August! A fantastic third day of our sailing holiday Croatia! 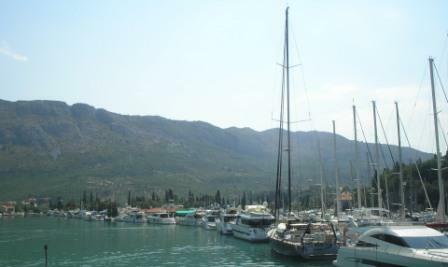 Check out the latest discounts for chartering a yacht in Croatia!